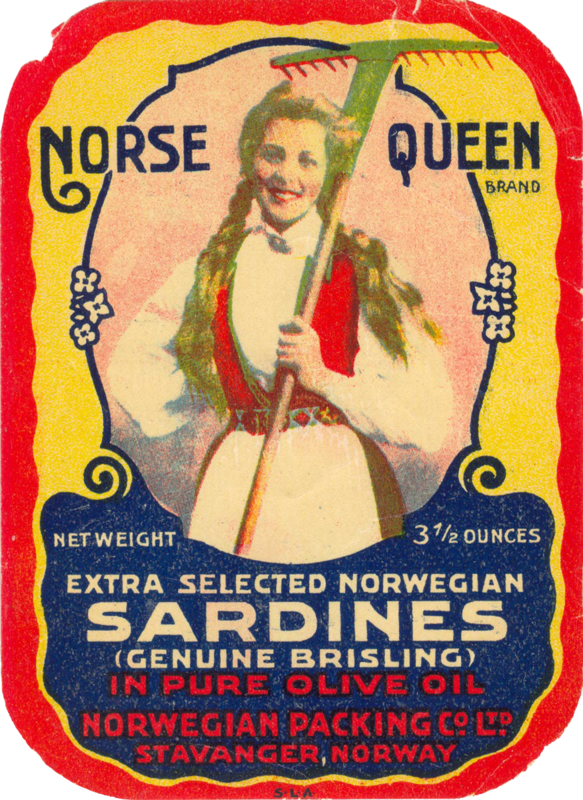 Canned sardines, caught in the fjords of Western Norway, were once a staple food in both Europe and the USA. 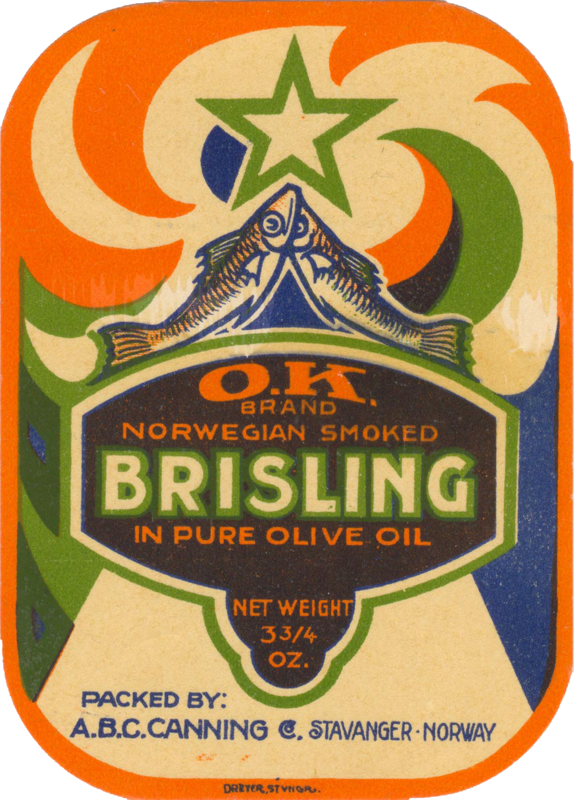 To appeal to buyers in foreign markets, the Norwegian canning factories came up with an abundance of colorful designs, more or less related to the contents of the tin. In the first half of the 20th century, when the canning industry reached it’s peak, there were dozens of canning factories in the southwestern city of Stavanger. 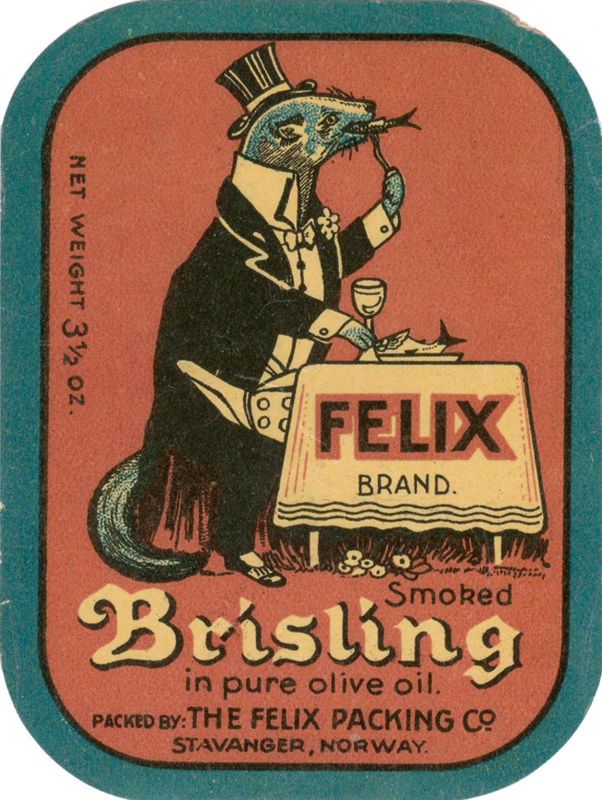 In fact the canning industry was one of the main reasons for the city’s growth in this period. 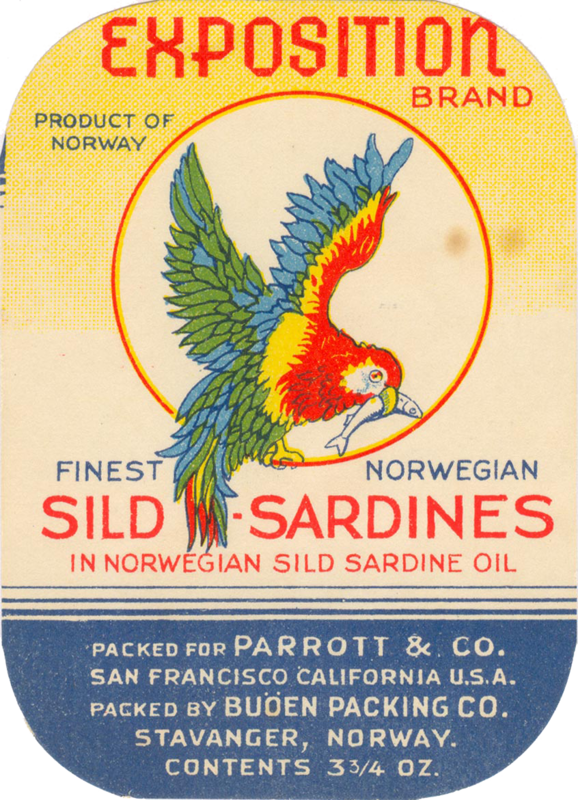 Today, Stavanger’s canning museum is the only memory left of the once booming sardine industry, and crude oil has long since replaced it as the main source of income. 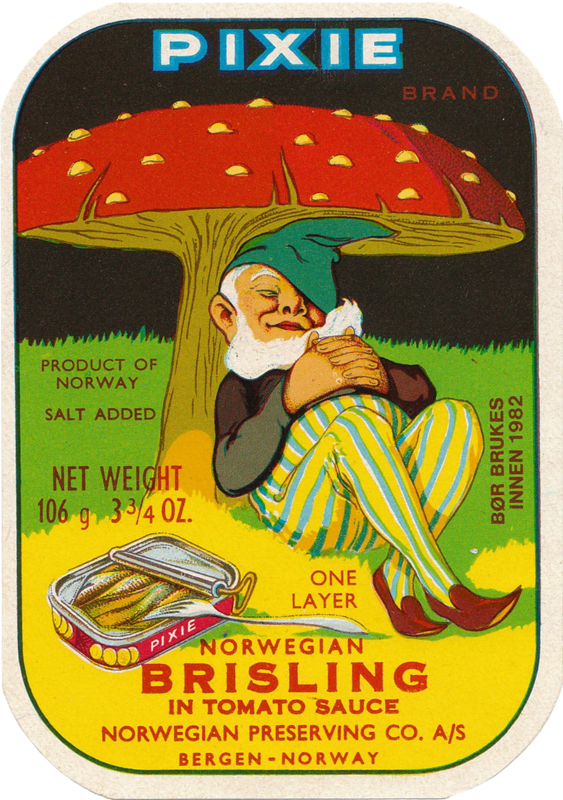 Most of the images are borrowed from www.norwegiancollector.com.